In the past our ancestors paid more attention to their diets because it provides energy for the day-to-day physical activities. Many generations ago preparing of tasty and healthy meals for the family was a major role played by women. But with the passing of time, the increasing of the population and urbanization taking place, lifestyles of people have changed rapidly. Out of all these urban growth has had a huge effect on their lifestyles and also added to the cost of living. As a result housewives also have to make contributions to the family income by doing jobs during their spare time. Therefore due to these competitive and busy lifestyles, the main role of housewives is changing constantly. As of now they need to prepare food within a short period of time if they are to manage all their activities for the day. This doesn’t give them an opportunity to think about taste and nutrition when cooking. As a result most of housewives are looking for modern kitchen accessories which provide for efficient cooking and saving time. Though cooking time is reduced with these accessories their busy lifestyles have cut the time that’s available for cooking. Now conventional techniques are less used in the kitchen. People have replaced their traditional feeding habits with globalized food preparation patterns. But unfortunately, we are not interested in finding out the adverse effects of these modernized food preparation techniques on our health. Most of our urbanized kitchens are fully automated with various kinds of food processing utensils which help to prepare food in a short time. However, current innovations in the food production sector may have negative effects on the nutritional quality of food and create long-term health concerns. With the development of food science and technology, various types of contemporary kitchen equipment are introduced to our society as an innovative alternatives for our conventional cooking devices. Some of these equipment are the microwave oven, gas cooker, hot plate, rice cooker, pressure cooker, toaster, deep freezer, grinder, mixer etc. While these innovations are designed with profit in mind, they don’t ensure that the food cooked is tasty or has nutrition. This article discusses in general the two different modern food technologies presently used, their effects on the quality of food that’s made and safety. 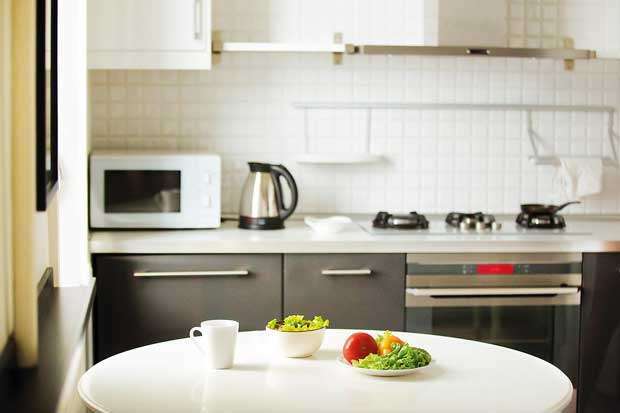 Nowadays microwave ovens are very popular home appliances used for the purpose of processing food. Food cooked in the microwave oven gets heated due to the presence of an alternating electromagnetic field. Once the microwave energy is absorbed, polar molecules and ions inside the food will rotate or collide according to the alternating electromagnetic field and heat is subsequently generated within the food through a series of molecular vibration. However in the conventional oven heat is applied to the outside of food by convection. 1.Loss of organoleptic properties in the food - The microwave oven cannot induce browning or crisping of food. During microwave baking, significant changes in physicochemical properties of dough can happen. Many studies have been done to address various issues related to microwave baking like texture, low volume, lack of color, formation of crust, more dehydration and rapid staling. 2. Loss of nutrient- Research studies have compared microwave-cooked meat with conventionally-cooked meat and indicate that beef, pork roasts, chops or patties cooked in microwave ovens usually have been subject to a loss in nutrition. Food cooked using a microwave oven is also less tender and drier. Early research indicates that meat cooked in microwave ovens was low in quality compared to meat cooked using conventional methods. Also a mild reduction in vitamin levels was observed (usually a loss of vitamin C) when food is prepared using a microwave oven instead of using conventional cooking methods. Furthermore, a Russian research reported that there was a decreased bioavailability of vitamin B complex, vitamin C, vitamin E, essential minerals and lipotropic factors during microwave cooking. 3.Risk of carcinogenic substance production -Russian studies have discovered the formation of Nitrosodiethanolamines (carcinogenic substance) when preparing meat using a microwave ovens. And also when heating milk and cereal grans using a microwave oven, certain amino acids have been converted into carcinogens. 4. Risk of chemical leakage from the package into the food - The leakage of numerous toxic chemicals could occur from the heat-susceptors in packaging in common microwavable foods such as pizzas, french fries, popcorn etc. Microwave ovens cannot make food brown and crispy or crunchy. However, this issue can be resolved by using microwave packaging materials called microwave susceptors when heating food. The most common susceptors are made of polyester film with particulate aluminium and paper or board. 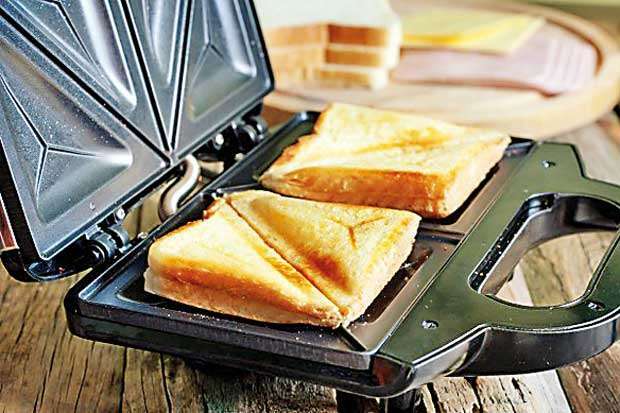 The aluminium layer can absorb microwaves and warm quickly making the food crispy. 5.Health concerns- According to research studies, an increase in the rates of stomach and intestinal cancers have been observed. In addition to that there is a decrease in all hemoglobin and cholesterol values, especially the ratio of HDL (good cholesterol) and LDL (bad cholesterol) values. Moreover, white blood cells showed a more distinct short-term decline following the intake of microwaved food when compared to the intake of all other foods. 6. 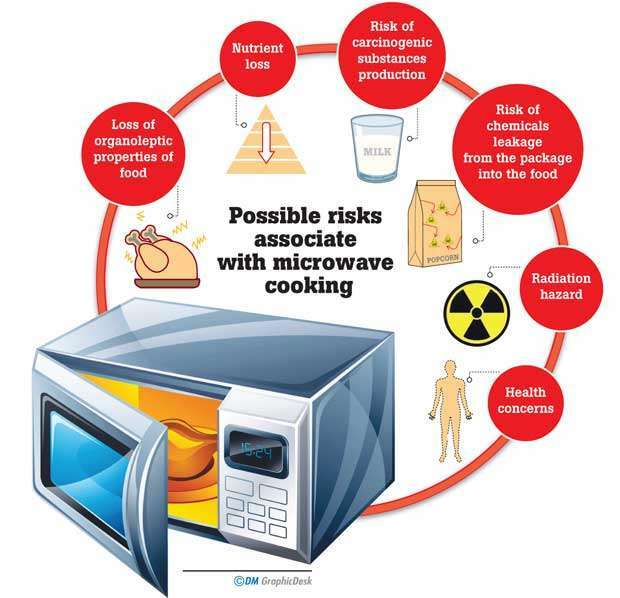 Radiation hazard – If the door of the microwave oven does not fit well or if it is damage, microwave radiation may leak out. If there is a long-term human exposure to microwave radiation, it may contribute to genetic mutation, disorders and cancers. These are known as microwave sicknesses. According to Russian scientists, the first signs are low blood pressure and slow pulse. Then it manifests to chronic excitation of the sympathetic nervous system (stress syndrome) and high blood pressure. In this phase, headache, dizziness, eye pain, sleeplessness, irritability, anxiety, stomach pain, nervous tension, inability to concentrate, hair loss, increased incidence of appendicitis, cataracts, reproductive problems, and cancer can occur. Eventually these chronic symptoms are succeeded by coronary heart disease (blockage of coronary arteries which leads to a heart attack). When starchy food is cooked at high temperatures, like when roasting, acrylamide is formed by Maillard reaction. This occurs due to the reaction between amino acids and sugars within starchy food. This acrylamide is a natural by-product that’s developed during high temperature cooking and results in the browning of the food or non-enzymatic browning and provides additional colour, aromas and flavours to food. Acrylamide is recognized as a toxic compound. According to animal studies that have been conducted, the regular consumption of food that contains high levels of acrylamide can increase the risks of cancer and damage the nervous and reproductive systems. During our body’s detoxification metabolism, acrylamide can be bound to glutathione, before being eliminated from the body. Alternatively, it can be activated by metabolism to glycidamide, which can be bound to DNA leading to mutations. This is most likely to be the cause of cancer. The effects on the neurological and reproductive system are more likely to be due to acrylamide itself, rather than the presence of glycidamide metabolite. Conclusively, modern technology and food science have developed faster resulting in more efficient ways of cooking food. Nowadays with these busy lifestyles, most of us do not have considerable time to spend in preparing healthy, balanced and nutritious meals. Hence, all of us are looking for novel food preparation technologies since there are huge advantages when using modern food preparation appliances. However, these modern cooking technologies may adversely effect our health in different ways. This article states only a general overview of possible health risks which can be associated with two particular types of novel cooking technologies where the regular exposure to such equipment can lead to chronic diseases. Therefore, it is very important to have better awareness regarding the possible health risks associated with the automated kitchen. The writer holds a MSc. Degree in Industrial and Environmental Chemistry from the University of Kelaniya and BSc. Degree in Food Production and Technology Management from the Wayamba University of Sri Lanka.